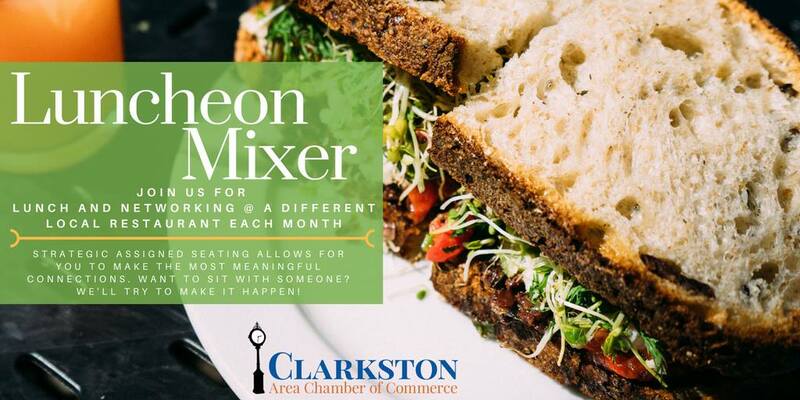 Enjoy a delicious lunch while networking with other Chamber Members. We use reserved seating to help you make meaningful connections on a regular basis. 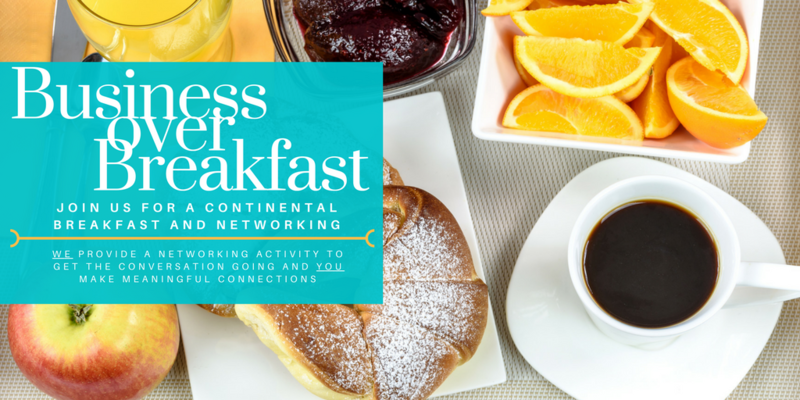 Looking to connect with someone? 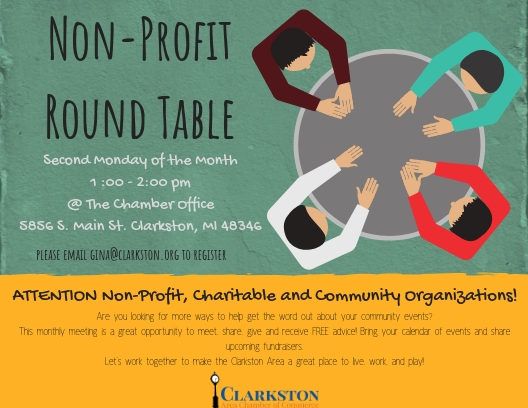 Let us know, we will try to seat you at the same table! We will be hearing from Joren Carlson. 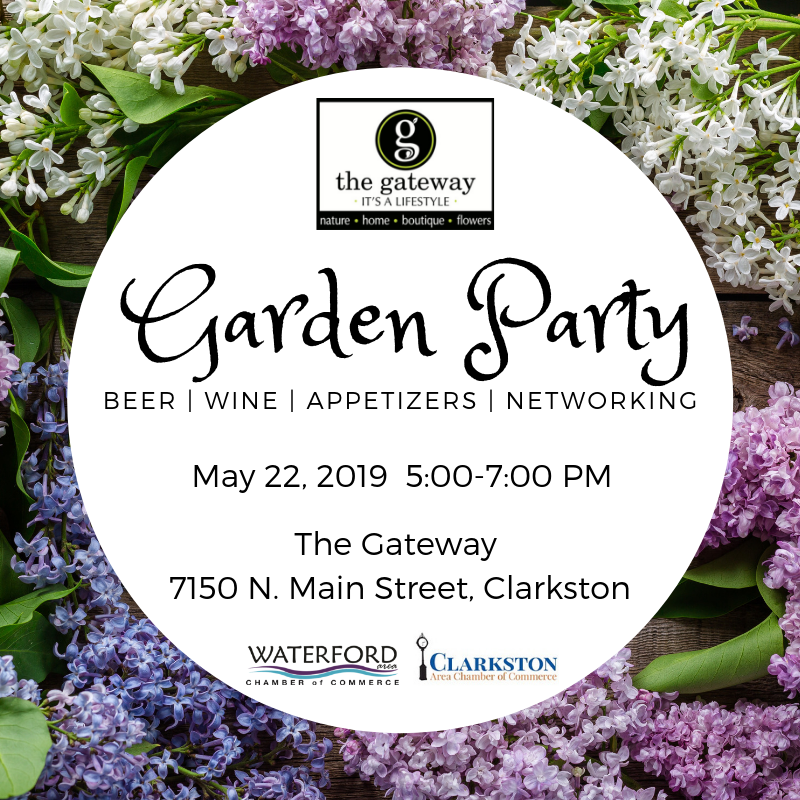 Join the Clarkston Area Chamber of Commerce and the Waterford Area Chamber of Commerce for a spring evening in the gardens of The Gateway. Food, beverages, and appetizers will pair perfectly with charming conversations. 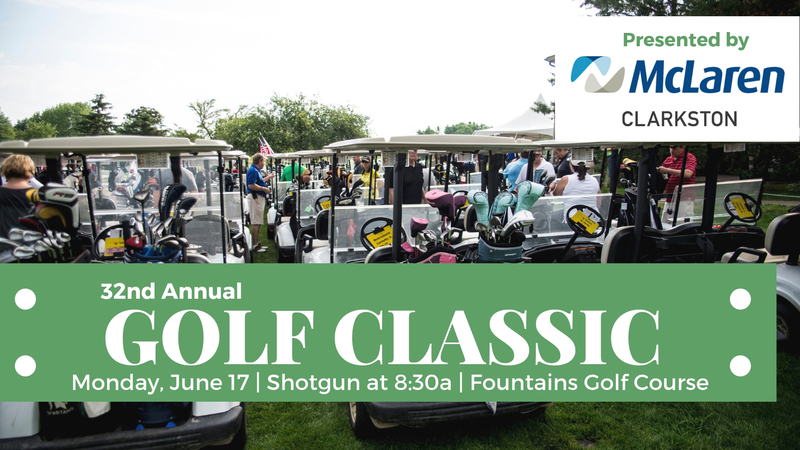 We will be hearing from guets speaker Walt Stasinski regarding the punch line and the bottom line. 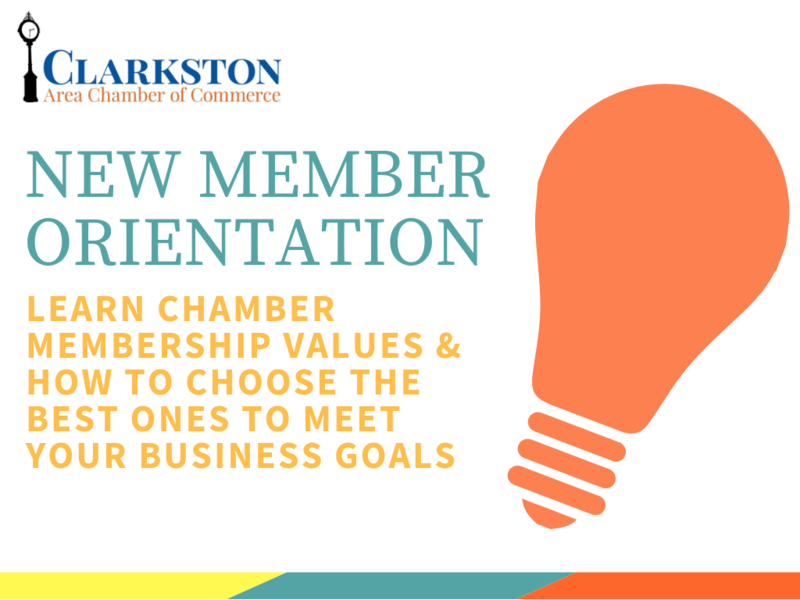 We have developed a quick start overview of Chamber member value, tips and tricks, secrets of getting the most out of your chamber membership. 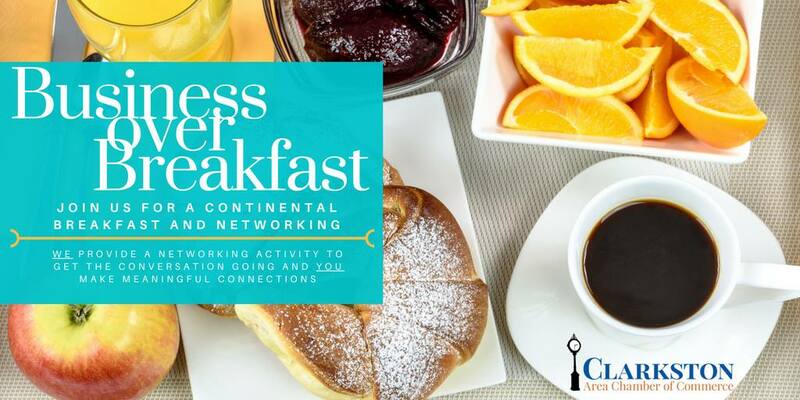 This is a great opportunity to jump start the value you get out of your membership, while networking with other members! 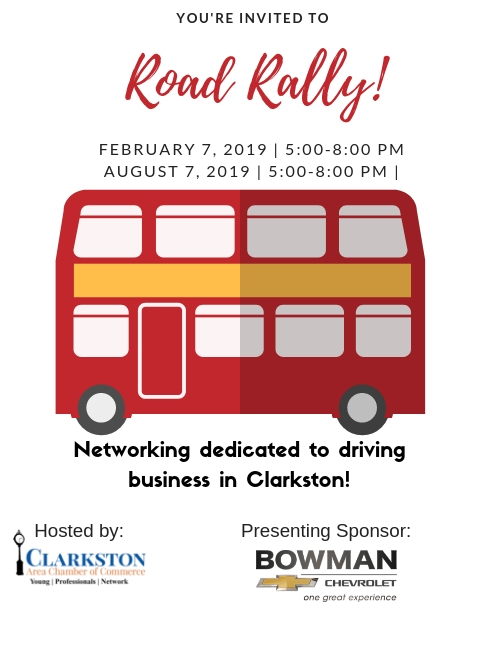 Join us for a fun evening of networking dedicated to driving business in Clarkston! 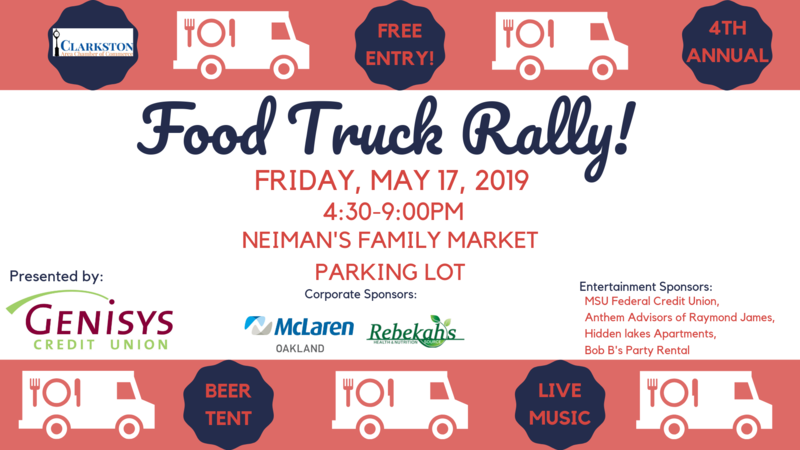 This event attracts over 18,000 people from all over Oakland County to try out delicious eateries! Both sides of Main Street are lined with over 50 restaurants and exhibitors. Restaurants offer small portions of their favorite menu items for purchase.